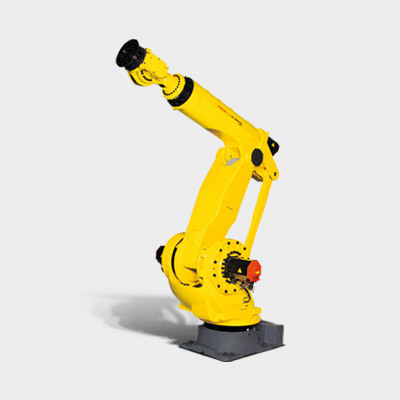 At between 150 and 700 kg, the M-900 6 axis robot series offers one of the highest payloads on the market. Designed to handle single or multiple heavy parts and available with reaches extending to 3.7 m, the M-900 series is ideal for almost every application. Varied mounting options make this series very versatile and enable it to make maximum use of the work envelope. 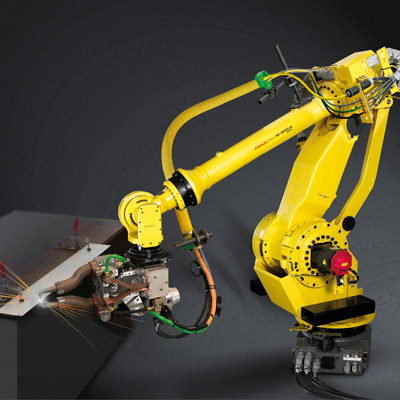 The M-900iB/280 is FANUC’s new specialist for applications that demand maximum rigidity from the robot. 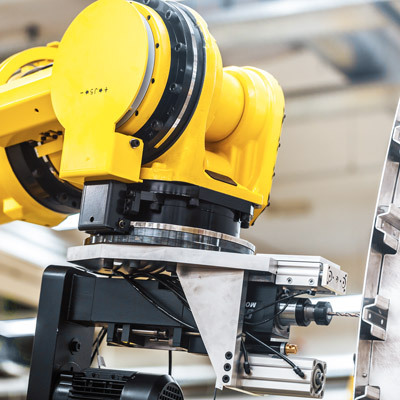 Designed for processes that put a lot of pressure on the tool, this new stiffness specialist delivers improved accuracy on applications where precision is essential. See what more stiffness could do for you. Higher throughput thanks to improved carrying capability, wrist moments and inertia. 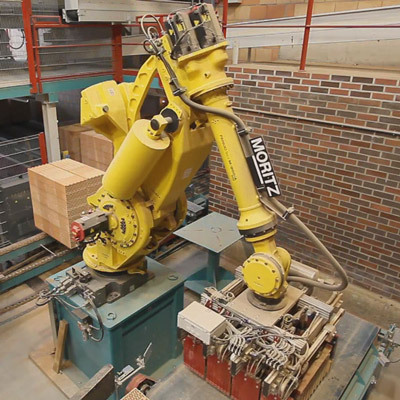 The M-900's rigid construction along with its supporting parallel link arm, ensures accurate handling of heavy workpieces, fast palletising and precise heavy-duty drilling. 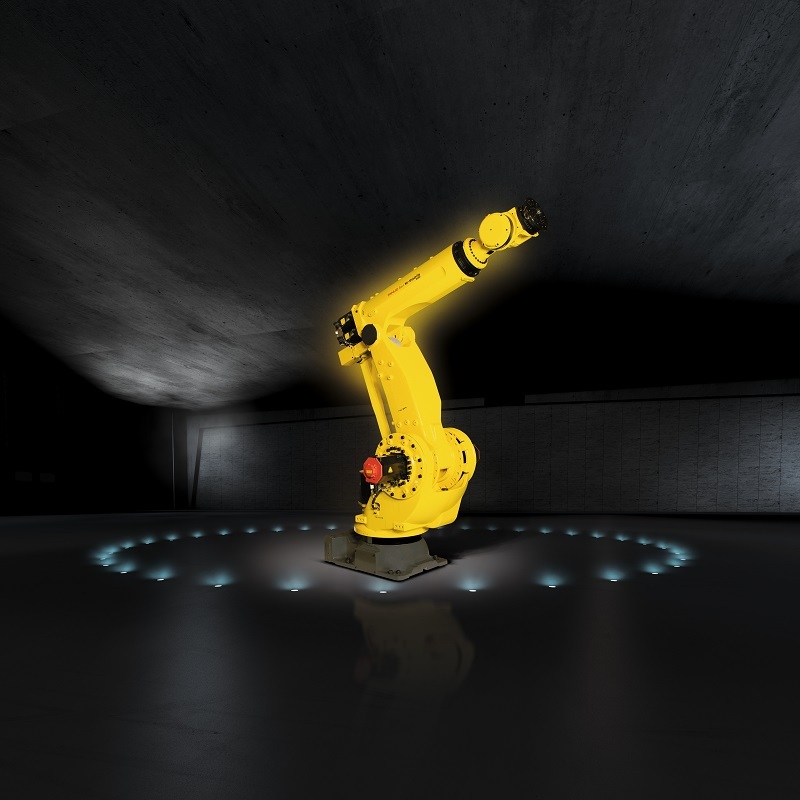 By simulating your production scenario, Roboguide shows you exactly what the M-900 can do for you and where the savings lie. Integrated pneumatical and electrical services consisting of 8 inputs and 8 outputs as standard. Simple and reliable cable dressout package available. Handle large and very heavy parts at reaches of up to 3625 mm using the M-900iB/280L and the M-900iB/400L models. 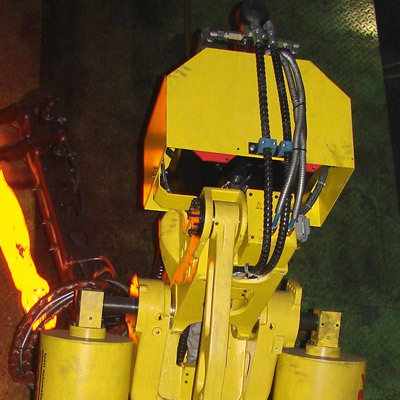 On the M-900 wrist motors are mounted on the shoulder to protect them from heat and harsh operating conditions. 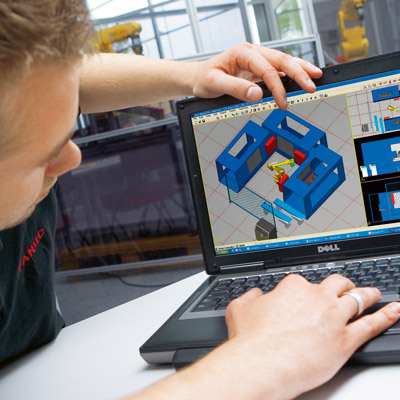 Improved cooling in this position enables higher loads and faster cycles. Featuring J4 rotation at the wrist and a slim J3 arm for easy access into narrow spaces, M-900 models are equipped with hollow drive shafts for wrist motors and equipment mounting flanges on the arm. A reducer at the end of J4 keeps the whole J3 arm stationary and axis 4 rotates at the end of the arm. 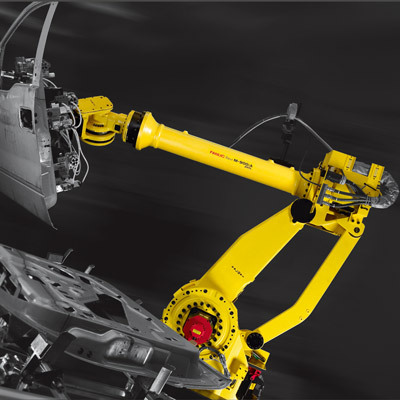 Offering huge reliability, the durability of these robots is proven on a daily basis in the automotive industry.